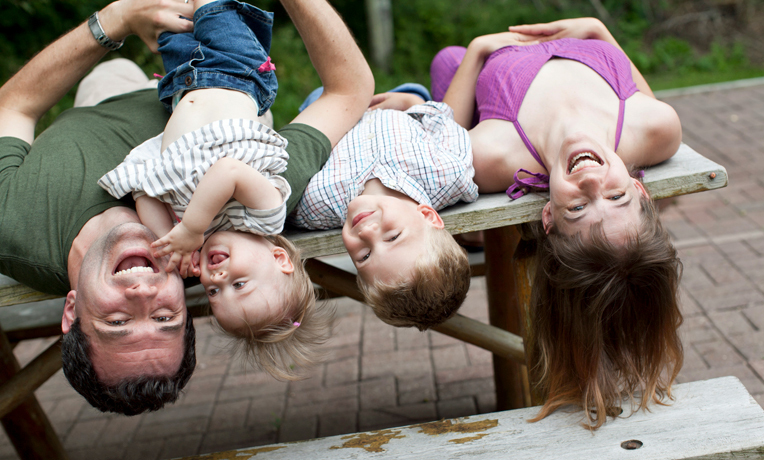 A post-resident’s wife shares the cultural differences between American and Nepali mothers. Hannah Hough is living in Nepal while her husband works at Tansen Mission Hospital through the Samaritan’s Purse Post-Residency Program. They are both there to serve God and share His love in a mostly Hindu area. Recently, they had their third child. If we thought the learning curve was steep going from one child to two, it’s nothing compared with two children to three. Oh yeah, but that could partially be because we have to do it now and in another country. Not only have we forgotten everything related to newborn care, but we are learning it Nepali style. I’m trying to take my cues from the Nepali mommas around, and I hope I’m not making too many cultural blunders. I walked downstairs the morning after our daughter was born to eat breakfast. Hannah and her newborn are slowly learning to navigate Nepali culture. Nepali mommas stay with their babies in bed for several months after babies are born. I asked my didi to make saag (like spinach greens) with our dal bhat for lunch one day. Nepali mommas eat a very specific diet of jhol (kind of like a buttery chicken broth but really bitter tasting) and specifically cooked meat and vegetables to help recovery and breast milk. 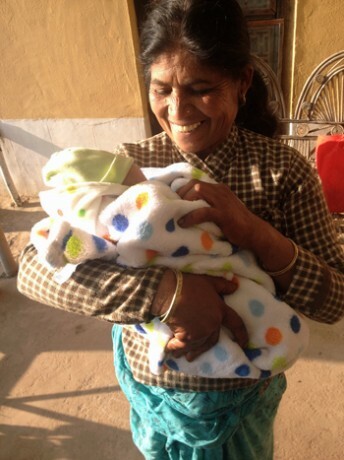 Laxmi, the Houghs’ gardener, enjoys spending time with the new baby. “Do you have good milk? Does she drink milk well? Has your milk arrived? This (fill in type of food; it seems to change every time) is good for making milk,” said Nepali women every time I met them. Nepali mommas breastfeed their babies until they are about 3 years old. It is not uncommon to see women feeding their children on the side of the road. Although it’s embarrassing for a Westerner, breastfeeding is a common topic of conversation amongst Nepali women. We took our baby to the hospital the first week she was born to meet friends and neighbors. “Where is her hat?” said our didi, and our gardener, and our neighbor, and the milk shop owner, and pretty much every Nepali person. Mothers in Nepal have many different customs for raising newborns. The Houghs are learning many of these cultures with their newborn daughter. Nepali mommas put hats on their children until about age 4 even through the summer heat and believe in wrapping infants in multiple layers so only their mouths and noses are exposed. The family that owns the local dairy shop congratulated Dave on his new daughter and asked who had come to stay with us. ”My father-in-law is here,” replied Dave. “What? Who will cook for you?” asked the shocked shop owners. Nepali mommas don’t cook during the postpartum months. They move back home to their mother’s house and aunts, didis, and other female family members come to stay with them and do the cooking. Male family members do not generally visit the newborn, and they especially don’t cook. I promised the older children I’d make them pancakes one morning. When Didi arrived she looked appalled at me cracking eggs. Hannah Hough is experiencing life outside the U.S., including giving birth to and raising a baby. 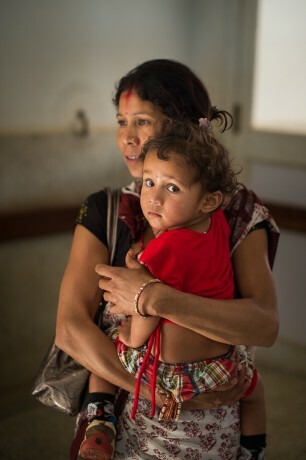 She has Nepali mothers, like this one, to help her. “I can make the pancake,” she said, but after a lengthy attempt by me to translate the recipe, I told her I’d just make them toast instead. “Has your wife had her massage yet?” asked one of Dave’s Nepali colleagues. So I’m probably not going to make it as a Nepali momma, but I’ll try my hardest to do my best as my baby’s momma!